Music Week Magazine back at SHED in our Photography studios in London. 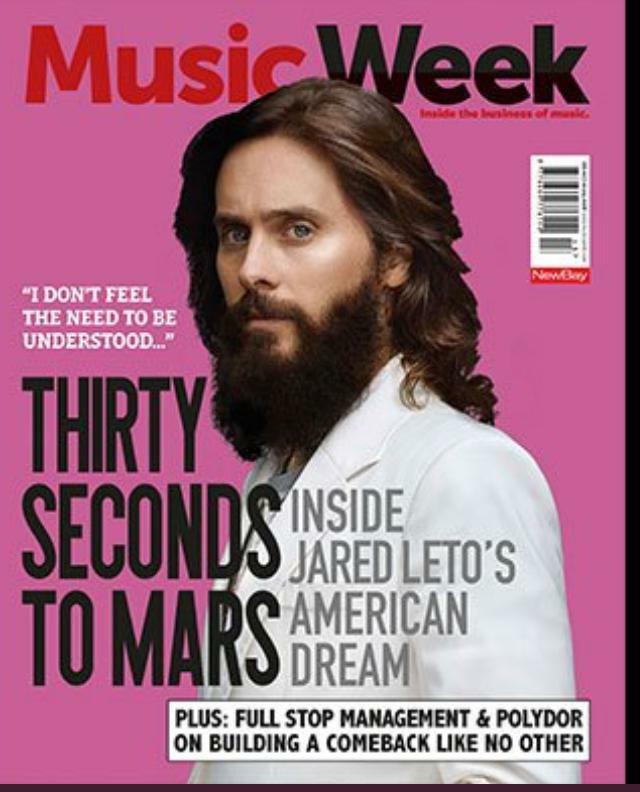 The cover of this issue features Jared Leto. Jared Joseph Leto is an American actor, singer, songwriter, and director. After starting his career with television appearances in the early 1990s, Leto achieved recognition for his role as Jordan Catalano on the television series My So-Called Life.